CHILD-SAFE CHAIN | MIZKEN INC.
High-safety measures should be taken in playground equipment like swings for children. 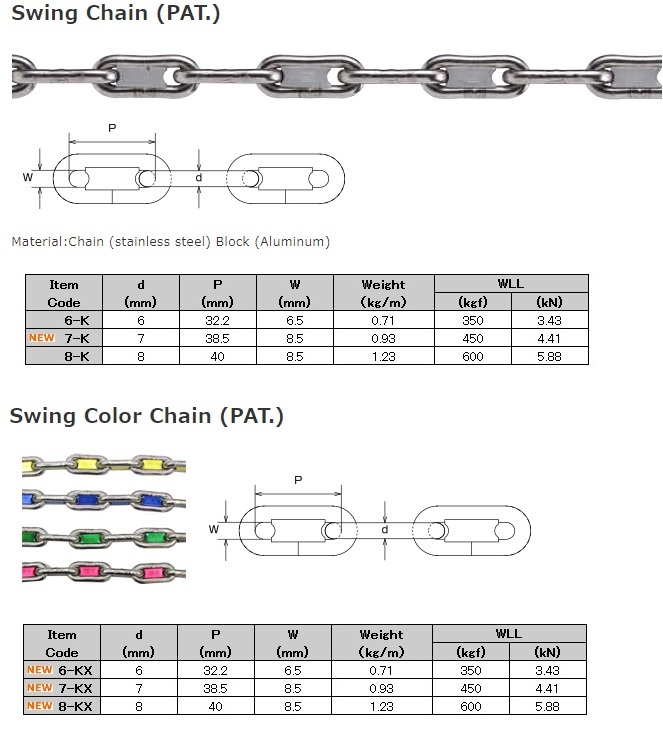 Our SWING CHAIN is suitable for them. Each links is filled with aluminum filling to keep fingers away.